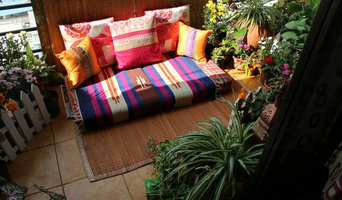 An avid nature lover and passionate designer of cosy spaces at home. If you like to have a personal garden or a space for yourself to unwind close to nature... all you need is a green window, a or a well designed balcony! A green balcony, a cosy retreat perhaps with a stylish flooring and a pergola... can create a space that reflects you and your idea of a retreat, unwind and feel loved. 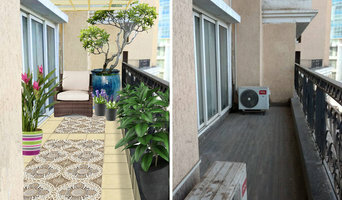 I can give your balcony a complete makeover with plants, flooring and furniture that reflects your style. Balcony Design concepts, Space planning, Execution end to end Balcony flooring, outdoor furniture , Pots and Plants. A Trusted Corporate Greenscape Partner for over 65 Corporate Clients, Ferntastica Gardens strives to bring corporates closer to nature, plant by plant. With a legacy of 40+ years and counting, ours is a green heritage that caters to all corporate landscape architecture and garden maintenance needs. Over these years, our brand has become a name synonymous with itself. Our personalized landscape designs for each corporate client, experienced gardeners and latest innovative techniques make us appeal to wider corporate audiences and an ever-evolving landscape designing industry. Providing Consultation Services To Design Installation and regular Maintenance there after for the landscaping projects,Development of Fruits Orchards,Arboretum,Children Parks,Road Avenues and Development of Tropical plants Nurseries etc. Millions of individuals living in planet's biggest cities, surrounded by concrete jungles,deprived completely of nature n greenery, i can help provide them with their own oasis of calm in world of chaos and noise. Nothing could be more therapeutic than seeing the nature nurture, it can relax anyone's mind and body. Earthscapes is a young design practice established by experienced professionals who have come together to provide a fresh outlook to the design of urban spaces and regional development framworks. Earthscapes provides master planning, landscape architecture & regional landscape planning consultancy services. Earthscapes provides comprehensive design and management solutions for the complete life cycle of the development. Having a professional experience of 6 years I have worked on projects of various scales and typologies across the country.I strongly believe in rigorous design process,uncompromising quality of work and continuous learning. Striving to serve the gift and beauty of nature in the concrete jungle of mumbai. We have all solutions of indoor and outdoor sports, interiors and landscaping. We have tie-ups with several top of the line brands worldwide to cater all the needs of our clients. With best quality products, as a matter of our core business ethics we provide unmatched and best of the class services to our valued clients. What does a landscape architect or landscape designer in Mumbai do? Landscape architects in Mumbai, who typically belong to the Indian association of Landscape Architects (ISOLA), are trained to develop comprehensive structural plans that include plants, hardscaping, water use, drainage and more. They can also design any structure that will be added to the landscape, such as gazebos, retaining walls and other garden features. 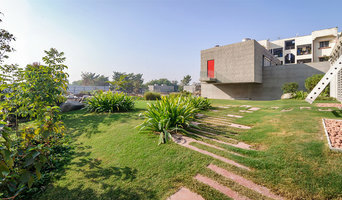 Typically, the expertise of a Mumbai landscape architect can apply to understanding your space and natural environment. They work closely with architects and other contractors to develop your landscape or garden in accordance with the other plans. 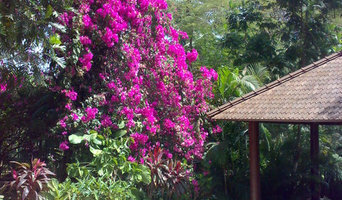 Landscape designers or garden designers in Mumbai specialise in aesthetics and horticulture. Keeping in mind both style and functionality, a landscape designer will analyze your architecture and garden to produce a plan that may or may not include location and materials for walkways, patios, water features, garden aspects and more. In addition, he will carefully assess your geographic region to choose plants, trees, and flowers that will flourish naturally, as well as address concerns such as drainage, screening and soil conditions. Certain landscape architects and designers in Mumbai only help with the planning portion, while some may deliver the plans and then oversee a hired landscape contractor. Others follow a design-build approach — take care of both the design and all aspects of the landscape architecture and construction. Why should I hire a landscape contractor in Mumbai? Don’t have a green thumb to main the lush and lovely grounds that will be the envy of all your neighbours. Hire a gardener or landscape contractor in Mumbai to create and maintain your garden. 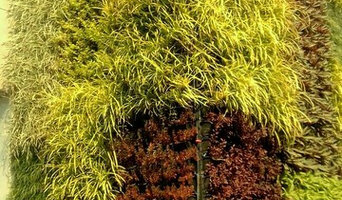 Landscape firms in Mumbai will be able to bring your outside space to life with flowers, plants, trees, shrubbery, lawns and all sorts of verdant, floral features. Landscaping companies in this category execute gardens that have been drawn up by a landscape designer or architect, while some can also provide design services of their own. Gardeners in Mumbai, on the other hand, will deal only with lawns, plants, trees and flowers. With a thorough understanding of horticulture and will be able to choose plants, garden edging and materials that will complement your home and thrive in the climate. A good Mumbai gardener will take care of weeds and pests, and perform other tasks such as pruning to keep your garden looking its best. Find landscape firms on Houzz. Narrow your search in the Find Pros section of the website to landscape contractors & architects. You may also look through photos of landscapes to find one you like, then contact the landscaping company in Mumbai who worked on it.